Yea, I said it (err, typed it). Barbara’s Bakery Peanut Butter & Chocolate Puffins. I saw these in the store and I just HAD to buy them. How could I pass them up? Peanut butter and chocolate is just one of those combos that always works well with one another. And being that this cereal was all natural, and that I was already a fan of Barbara’s Bakery with some other reviews here, I had a feeling these were going to be good. The chocolate pieces were smaller than the peanut butter squares, and seemed to have almost a sugar-like type of coating on them. They were sweeter, and reminded me of the cookie part of an Oreo, with a moderately sweetened cocoa flavor. I loved the crunch that they had as well. The peanut butter pieces were bigger, and also delicious. They were softer than the chocolate pieces, but still crunchy, with a delicious peanut butter flavor. Not too overpowering, but just enough. They also had a bit of sweetness that was really yummy. What’s your FAVORITE peanut butter & chocolate combination?? 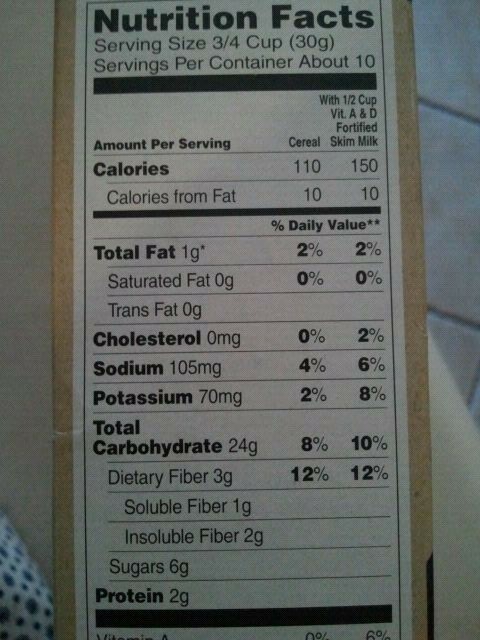 Wowza… I need to try that cereal! I love chocolate bars with peanut butter filling, like the Vosges Bonbon bar. How do these compare to Reeses Puff cereal? One of my favs, and I can actually afford it haha. I have been an avid reader for awhile and absolutely love your reviews! I have no idea why its taken me this long to comment but thank you for sampling so many yummy things! This is a toughie. I live in Hershey, PA amidst Amish country and they make a cake called Old Black Joe using coffee to make it super duper moist but still tastes very chocolatey! Then you layer it with homemade peanut butter icing that is whipped to perfection. Its pretty amazing! but honestly chocolate peanut butter anything is good in my book. 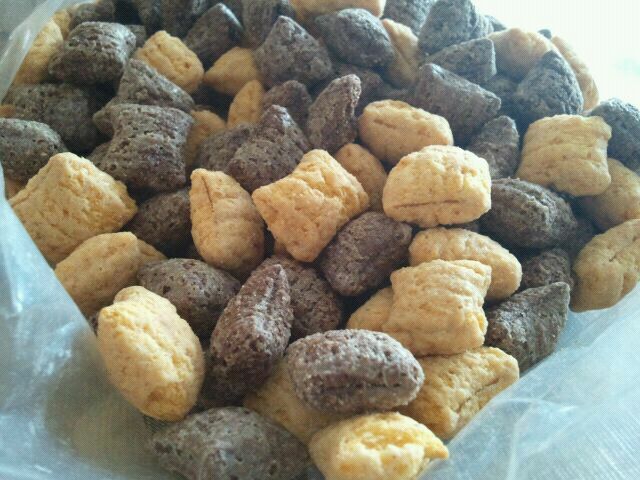 They LOOK like they could be PB/choco “puppy chow” (or “muddy buddies” … depending on what part of the country you’re from). 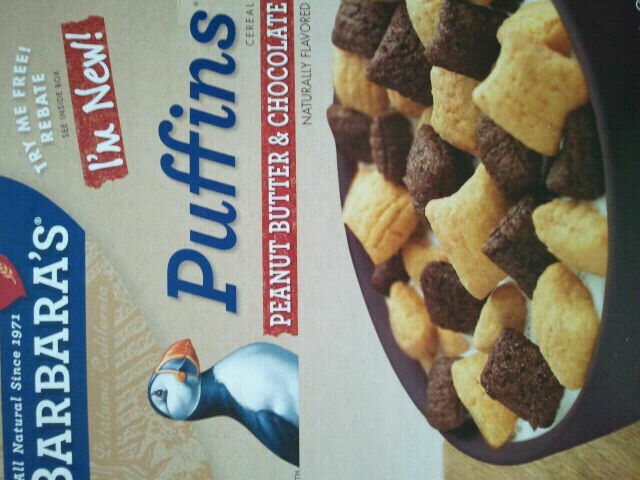 OHH my goodness, I wonder what it would be like to make that using PUFFINS instead of CHEX?!?! 4th of July project. 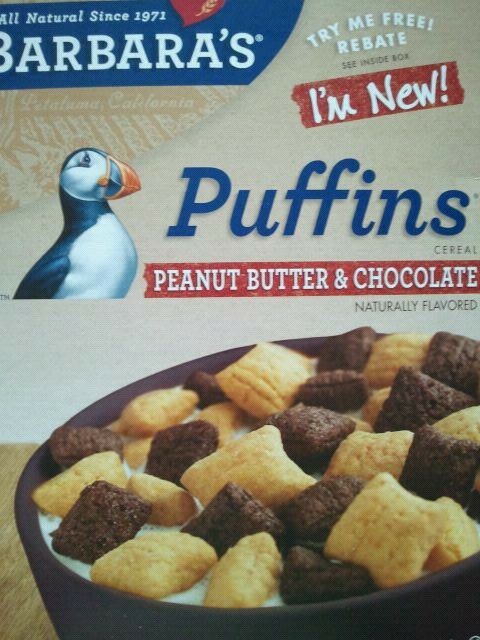 Ahh, I have been extensively searching for this flavor of Puffins everywhere, since first learning of its release! Unfortunately, I haven’t been able to locate it around here, even at stores like Whole Foods, Trader Joe’s, etc. I’m hoping soon I will be able to find them. They look so tasty and versatile! Let’s see, my favorite chocolate and peanut butter combination would definitely have to be chocolate peanut-butter cup ice cream! It’s the best. and if it helps, I found these at Stop n Shop grocery stores. Surprisingly, I havent seen them at whole foods either! I have yet to have them in milk though- let me know if they taste as good as you hope! 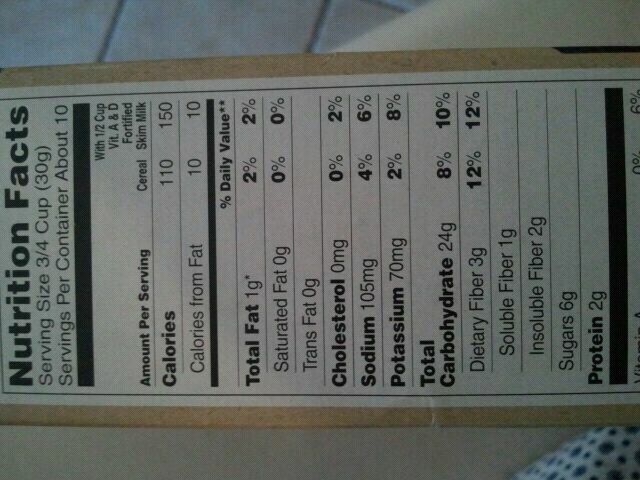 This cereal is great. However, the plain Peanut Butter Puffins is better. For some reason they made the PB pieces smaller in the PB & Chocolate mix.